Yippee Ki Yay by Old Gringo delivers premium quality and construction with a splash of fun. Boots that bring your happy back! This contest has ended. Winners will be announced soon. Thank you for the opportunity to win these beautiful boots. Would love to win a pair of these beautiful boots! These boots are lovely .. Thanks! I would love to win a pair of boots. Thanks! 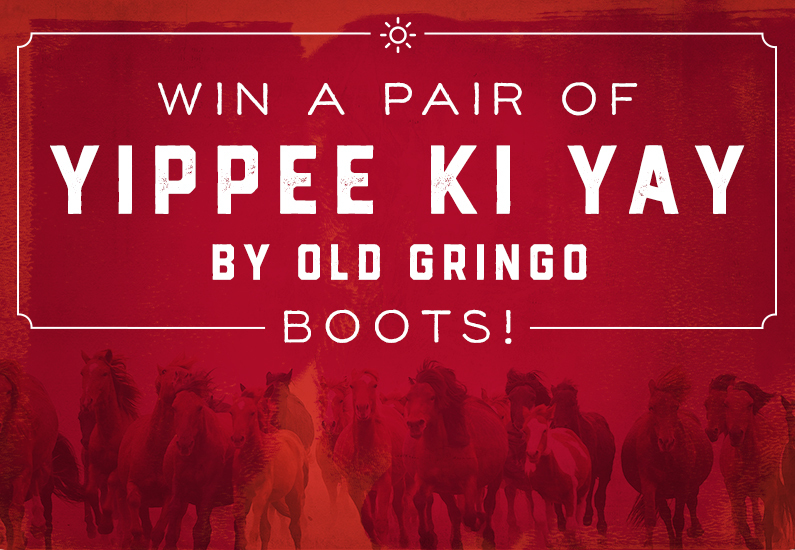 I would love to win a pair of Old Gringo boots! Would love to have a new pair of boots for parker County livestock show and rodeo next month!! Thanks for the opportunity to win!!! Thank you for the opportunity to possibly win these beautiful boots. Hi i already receive your emails. I shopped at your store in Longview, Tx for years. Love it! I always dream with those beautiful and comfortable boots thank you for such an awesome prize !! !